On 11 May Automotive News Europe gave details of an interview conducted with Thierry Koskas, Renault’s EV Project Director where it was said that Renault expects the Zoe to far outsell the Nissan LEAF (the current world’s best-selling EV) in Europe. With an annual production capacity for the Zoe of 150,000 units, the subcompact would be the volume model among Renault’s four-model EV range, which includes the Fluence large sedan, Kangoo car-derived van and scooter-style Twizy. 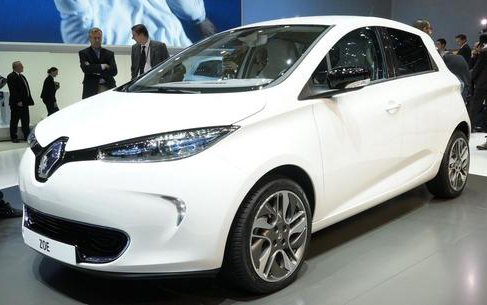 “The Zoe is the first electric car in Europe that will address the needs of the mass-consumer market. The interview was also reported on 4 Wheels News. An online area dedicated to all those who have reserved a Z.E. Videos with tips from the people who designed ZOE. 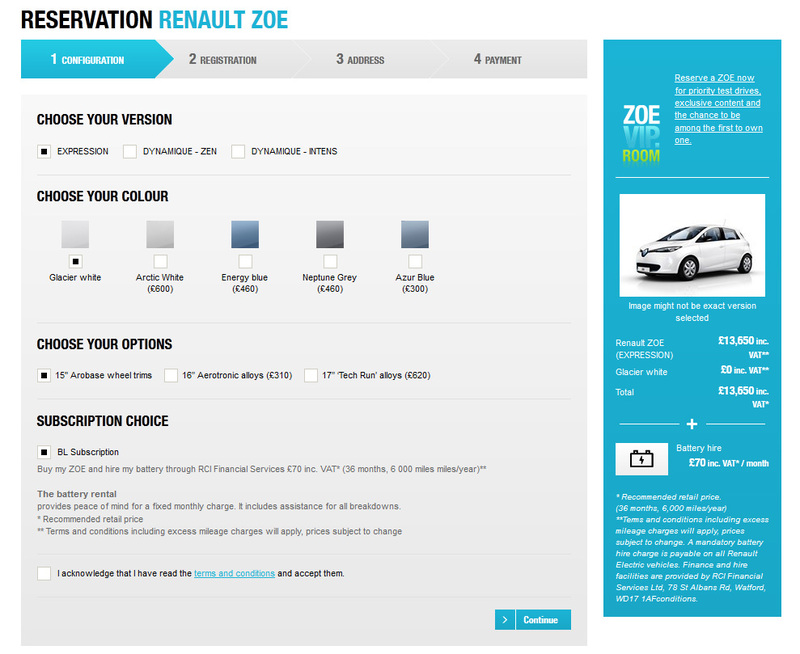 For just £49, reserve a Renault ZOE and join the Z.E. community! The only choice for the battery hire is the ‘BL Subscription’ of £70pa for 36 months, 6000 miles/year – presumably this can be changed at a later date as it’s a very low mileage for the average car owner. 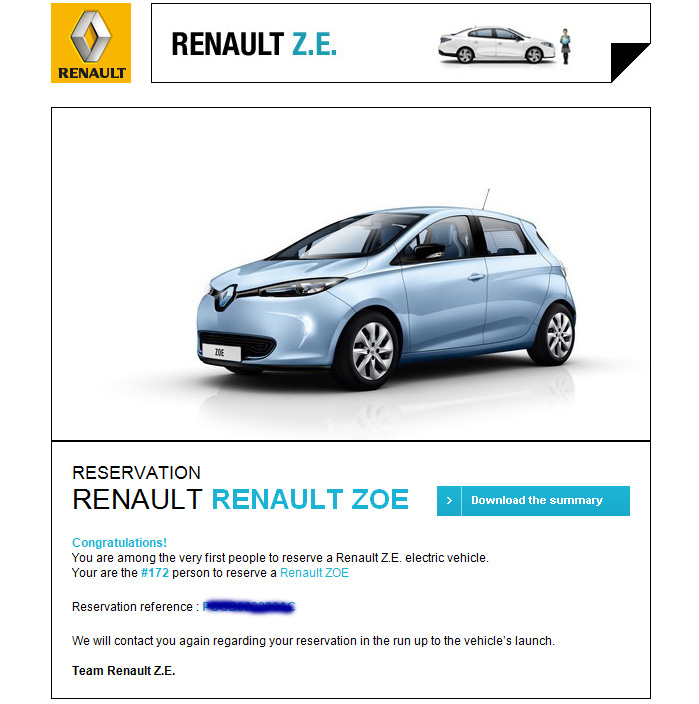 So I am officially the 172nd person to reserve a Renault ZOE (in the UK, I believe). 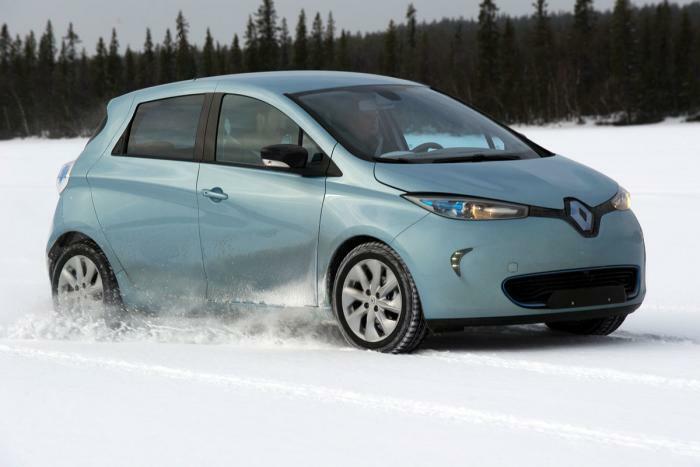 “All Renault ZOE models equipped with 15 and 16-inch tyres will be fitted with the new MICHELIN ENERGY™ E-V tyres. These innovative products are in line with the carmaker’s Range OptimiZEr approach for the Renault ZOE, which integrates an array of innovations designed to improve the vehicle’s range in all driving conditions. In near-urban use, for example, the MICHELIN ENERGY™ E-V tyres increase the ZOE’s range by up to 6%, depending on the type of use. It is interesting to note the mixed spelling of ‘tire’/‘tyre’, presumably evidence of editing for different markets. 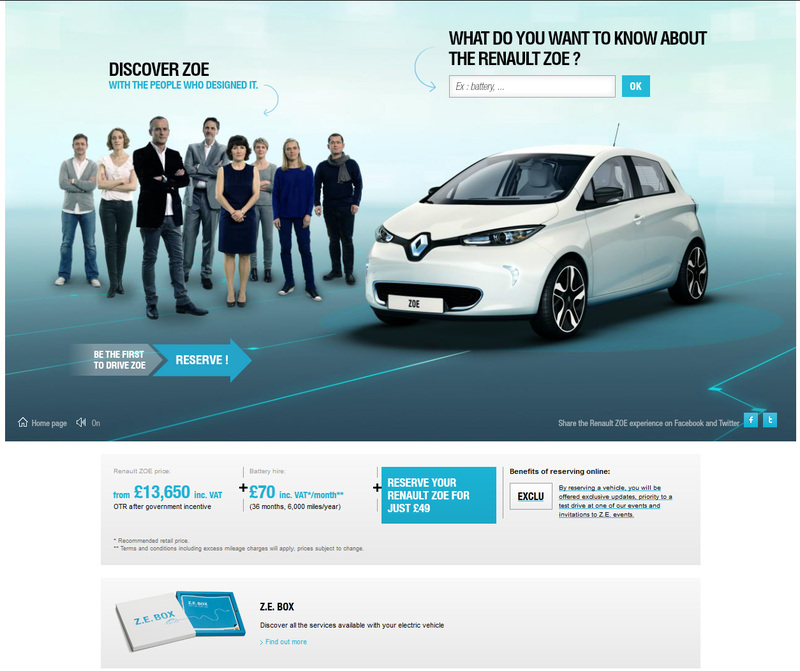 “The Renault Zoe and the other vehicles in the Renault Z.E. range made their first appearance at the Fleet World EV & Low CO2 Fleet Show in April, marking the first time all four models had been shown together in the UK in production form. 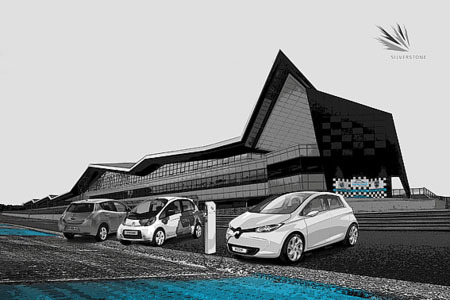 Held at the newly opened Silverstone Wing at the world-famous race circuit, the event was aimed at giving senior fleet decision-makers the opportunity to explore and test-drive the latest electric, hybrid and low-carbon technologies and discuss them with industry experts during seminar sessions. 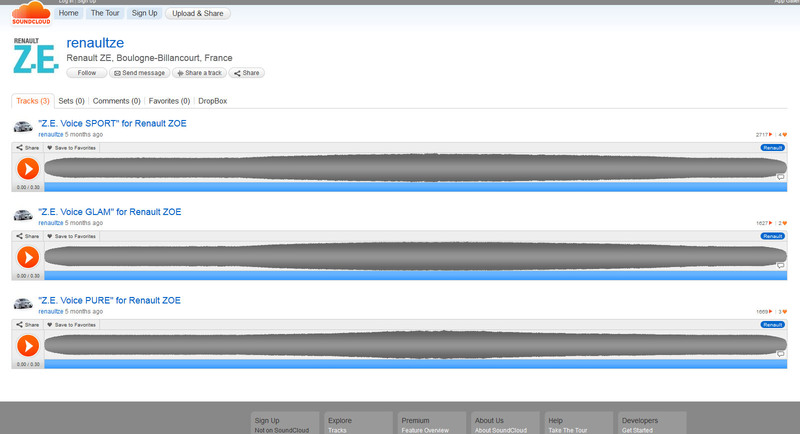 In the same month Renault made available samples of the ‘ZE Voice’ pedestrian warning sounds. The Voice system is active between 1 and 30km/h and is intended to alert those nearby of the car’s presence in a choice of three different alarm systems. Take a listen and see what you think. My preference would be ‘Glam’ (despite the name) as it sounds a bit futuristic to me, which seems appropriate. So far this year I have seen just two electric cars ‘in the wild’ – i.e. driving around as ordinary cars, rather than at shows. 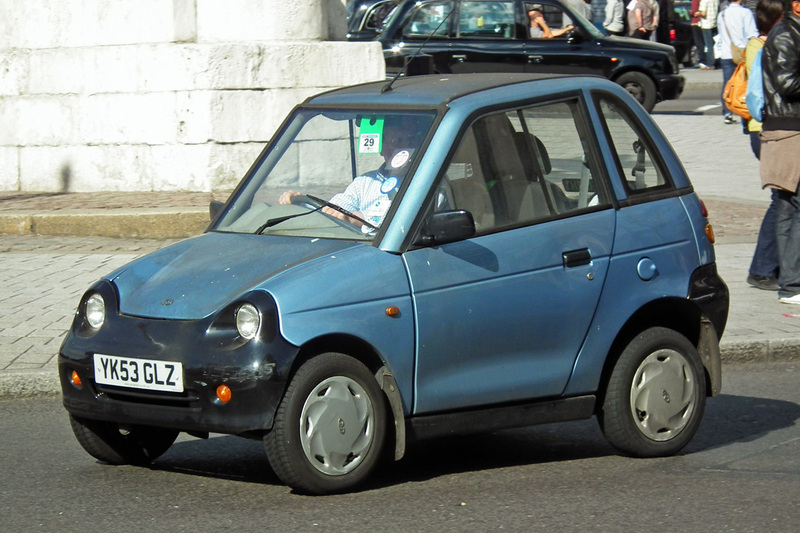 Today it was a Reva G-Wiz in Milton Keynes, a few months back it was a Renault Fluence on the Northampton ring road. While it would be easy to be disheartened at how rare electric cars appear to be on UK roads, I’m actually more positive than that – particularly as I didn’t notice any last year. Perhaps more significant and encouraging is just how far and fast these cars and general EV technology are developing. 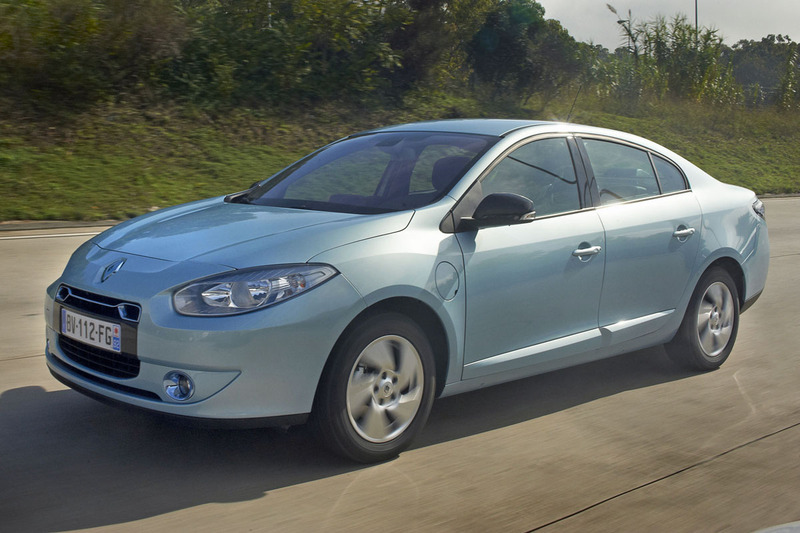 Compare the looks of the G-Wiz (a darling of Londoners since 2004) with the Fluence Z.E. of 2011. Of course, both are surpassed by the Renault Zoe! 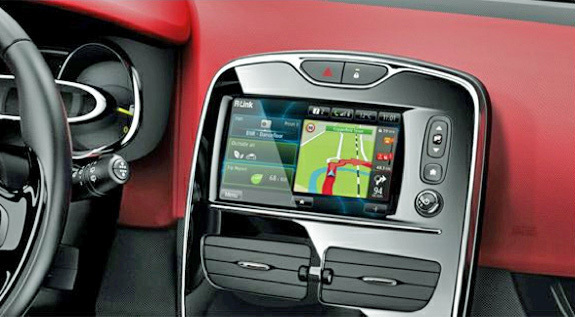 R-Link uses IQ routes and maps from TomTom. It also offers LIVE Services, including TomTom HD Traffic – giving drivers the fastest route to their destination based on the latest traffic situation. TomTom HD Traffic provides highly accurate traffic information for the whole road network including exit roads, slip roads and minor roads, which are not covered by competing technologies. Just days after the Zoe launch came news that it had been cloned in China. 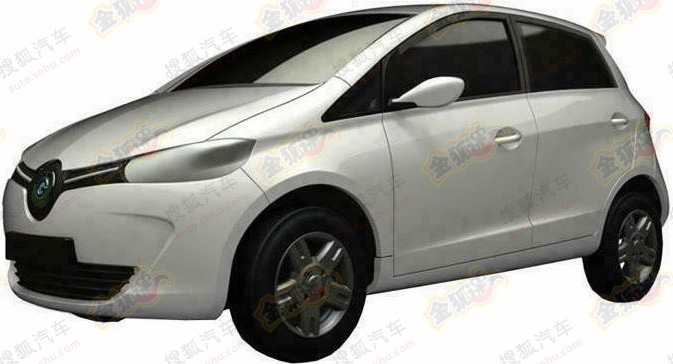 The ‘Greenwheel J0’ was originally revealed on the Sohu.com site on 15 March and then re-reported on a number of English language sites, such as Car News China. At the end of the month it was reported by Australian car sites Car Showroom and Car Advice that the Zoe was being tested for their market. A disguised version was flown in for engineering tests, accompanied by a team of engineers, and was seen on the road in Melbourne and Perth. 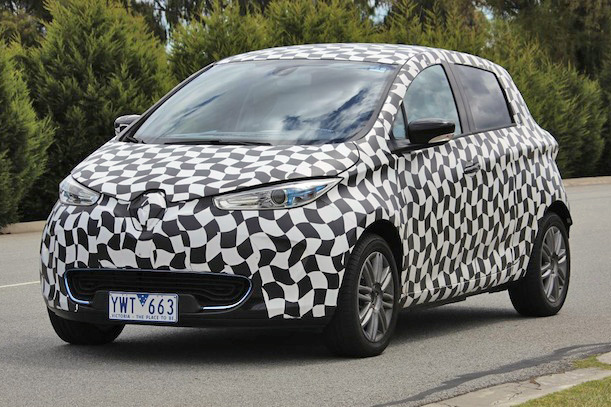 The aim of testing the new Zoe in Australia is to ensure we are responding to the specific demands of the Australian market – from daily driving to cooling systems for our climate. Because the batteries are mounted under the floor, and in the middle of the car, stability is excellent and body roll minimal. The forgiving suspension deals well with rutted snow – so we can assume the Zoe will be every bit as relaxing to drive around town as the Leaf.